Today on pocketnannies we have an Interview with Farley Berry who owns Lady Berry Cupcakes. We explore what her business can offer famililes and children. Now we quite fancy a cupcake decorating party of our own. 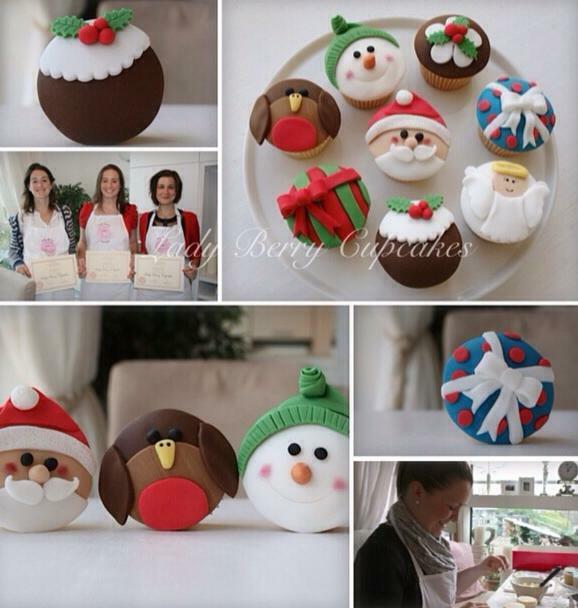 One of our pocketnannies has done a Christmas Cupcake Decorating Class and throughly recommends it. Farley is also a nanny and her passion shines through without. What is Lady Berry Cupcakes? Lady Berry Cupcakes is a boutique cupcake decorating school offering classes and parties to all along with creating cupcakes made to order for all occasions. How did you start up Lady Berry Cupcakes? What was your vision? Lady Berry Cupcakes started in 2011 creating cakes and cupcakes made to order, but very shortly it steered into teaching decorating classes as we began to get lots of requests about learning the art of sugar craft. Initially I had hoped to open a cake shop/cafe on the high street but it’s funny how 3 years in how things have changed. Now I can’t wait to find a teaching studio on the high street where we can offer a wide range of classes and parties throughout the week. What got you into baking and decorating? As a complete foodie myself and a huge fan of afternoon tea I have always loved cake in every form. A love of being in the kitchen and playing with bakes. I took classes as a hobby every now and again and that hobby became an obsession and that obsession developed into a true love of cake decorating. Are you very artistic? Do you have a background in art/design? Yes! I have always been artistic on some level. I was forever drawing and painting as a child, I became a painter after leaving art school and fell into photography. I went on to study Art & Photography at Chelsea and Art Psychotherapy at Gold Smith University. I then discovered baking and cake decorating 4 years ago, and I found that the skills I had acquired at university- especially in clay- transferred very well to sugar paste. I have grown my skill set a lot in that time and starting my own business seemed like a natural progression; turning a much loved hobby into my day to day work has given me a wonderful creative outlet, which is so rewarding. What do you offer for children and families? We offer children’s cupcake decorating parties which is the most popular side to our business. We teach about 3-4 parties a weekend all around London but mainly South West London. 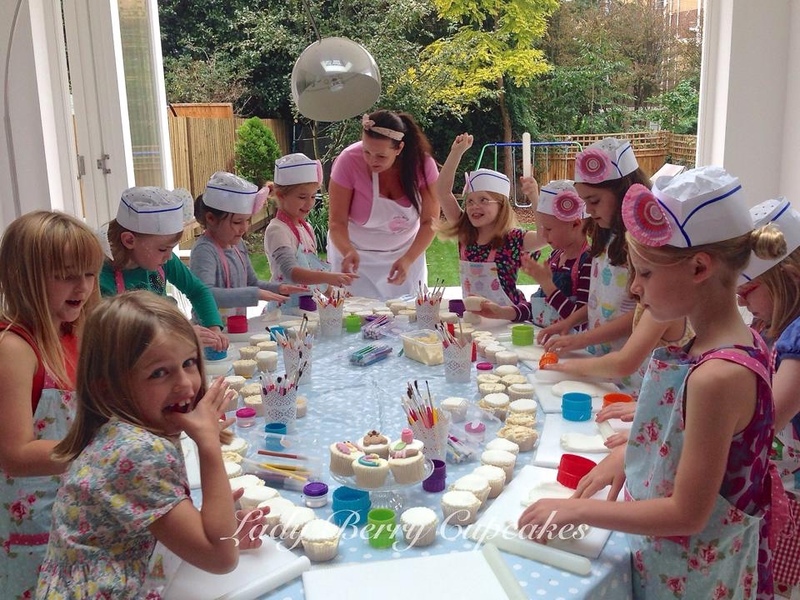 We also offer parent and child classes and seem to get a lot of children coming along after they have had a party with us and want to take their cake decorating to the next level. It’s a great way for parents to spend some quality time with their children, We also teach festive classes with youth groups, brownies and girl guides groups in and around the area. We are also looking to teach in local schools as an after school club. How do the children’s parties work? Our cupcake decorating parties are a parents dream party as we do EVERYTHING! We arrive at their home or a venue of their choice and set everything up. 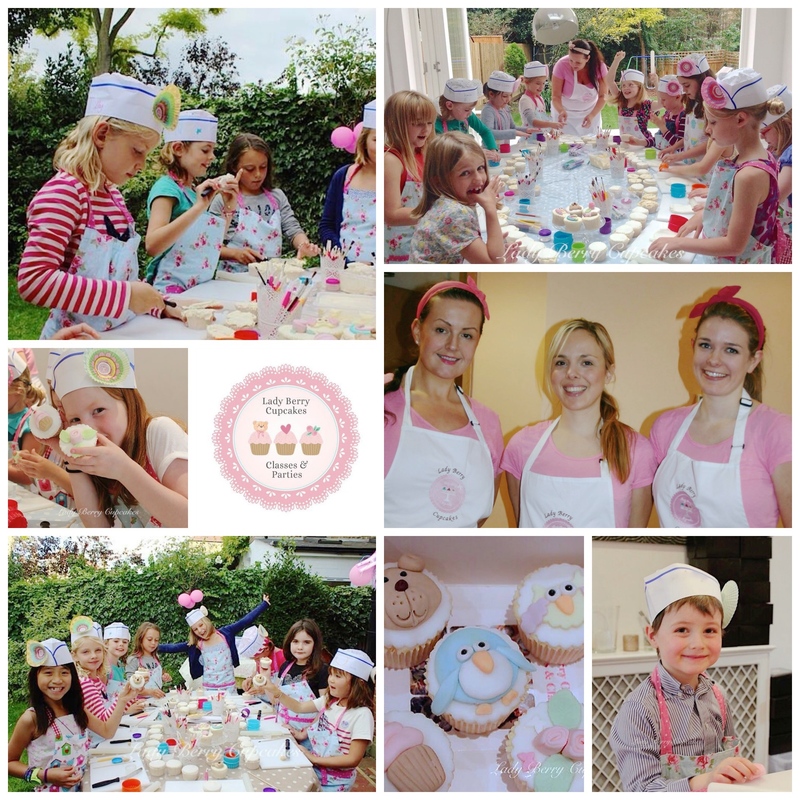 The children arrive and each child is given a hat and an apron, we teach them to top their cupcakes with buttercream and fondant lids. Then teach them a variety of sugar craft designs depending on their age and skill level. We have a lot of fun with them as they create their cakes. They each take home a gift box with their 5 cupcakes in along with a certificate. So to the parents delight NO Party Bags are needed! Were the parties always something you wanted to do, considering your work with children? The parties evolved after making the cakes for a year or two and running adult classes a friend then asked if I would teach her daughter and a few of her friends and then it just escalated from there! They told their friends who told their friends and before we knew it we had a winning Cupcake Party Recipe! Does your childcare background help with the children’s parties? Oh gosh definitely! 18 years of working with children has given me a great insight as to each ages attention span and level of creativity. Saying that even the little ones surprise us sometimes with how well they do! Knowing how to keep them engaged and listening to the instructions when creating designs, how to stop them nibbling the fondant throughout the class is a particularly impressive skill we have mastered! Do the children just go crazy with their own designs or do they follow a programme with you? It’s really interesting actually, as we can have a group of 13 year olds who are super creative yet not overly confident in their work. Yet a group of 6 year olds who are over flowing with confidence and really keen to take on our last cupcake challenge of designing their own cupcake! Restraining them all with the sprinkles that we bring out the end is often a challenge! We highlight let’s ‘enhance‘ our designs with the sprinkles as oppose to pour on the sprinkles. What is your most popular class / party theme? Children’s birthday parties are popular all year around, but also our Hen Parties are super popular a cupcake decorating hen party is a great warm up activity to any hen celebration with a perfect mix of ages and abilities everyone can get stuck in and learn to create some beautiful cupcake designs together. Our most popular classes are our Shabby chic class and Christmas characters class which sells out every year. For more information take a look at Farley’s website here.